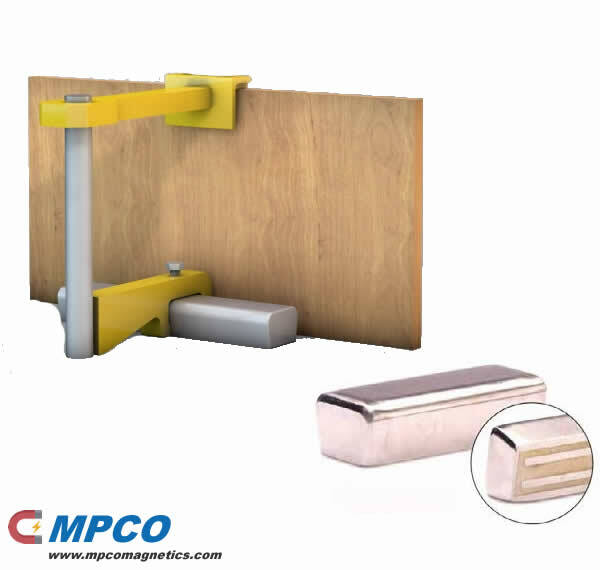 Loaf Magnets are designed for many applications including steel rails and securing would forms in place. 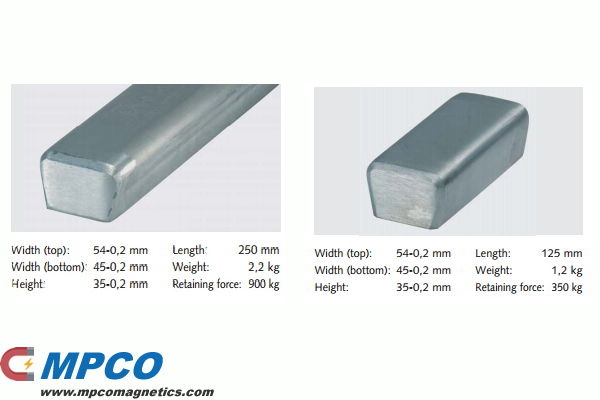 Loaf Magnets are available in standard 125mm and 250mm sizes. Optional brackets such as loaf pillar attachment and pillar arm bracket, and custom brackets are also available. It’s formed to be useful for our customers’ U-shuttering system , which make many adaption applications available. The strong magnetic force are compressed into a small steel box. After magnets assemblied, the spare space was fulfilled with black epoxy material to resist dust. Also it could keep the inside magnets damage from concrete and much longer working life. At present, two types of U shape shuttering magnets could be offered to our customers. This 350kgs – 900kgs precast magnet as loaf shape formed to be applicable for our customers’ U-shuttering system as same as Ratec Euro RTM type. It makes much more adaptive applications available. After magnets asserted into the latch machining steel shell, the spare space was fulfilled with black epoxy material to resist dust. It could keep the inside magnets from damage and much longer durable working life. Max Working Temperature: 80℃ or as per need.